Phelps helped build a mobile-first culture while most people were still fixated on the desktop, and secured significant investments in mobile hiring. He led a cross-functional team to relaunch their mobile home page (40 million MAUs) in just six months. He launched a news app for Apple Watch called “One-Sentence Stories” that was celebrated by customers and featured on the front of the App Store on Day 1. As product lead for messaging, he drove efforts to make their journalism more personal. In a year they doubled their mobile push audience, to 30 million devices. They broke ground in “conversational journalism” with coverage of the Rio Olympics via text message and an election bot for Facebook Messenger. Their cross-functional team became an internal model for collaboration. Previously, as a reporter for Nieman Lab, he covered the intersection of news, technology, and business. 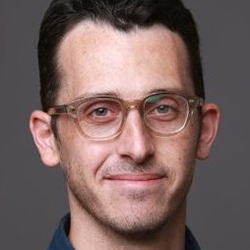 His work included a data-driven analysis of Gawker’s editorial strategy that Poynter called “a piece every modern media writer should aspire to producing.” He also learned to code and developed an open-source bot called Fuego, which surfaces trending stories on Twitter.